On Sunday night, I cried in my airplane seat. I held the book in my hands and cried not because it was sad, but because it was so true. Because the words I had just finished reading made me think about my own privilege, about the conversations Brandon and I will never have to have with our son, Oskar. About the thousands of boys whose everyday life can be changed in a single second. And how I have no idea what to do about it other than continue to ask questions, continue to have the conversations in our classroom, and continue to place books like this in the hands of my students even if they make me feel so incredibly uncomfortable. Because this book should do exactly that. And not only that, it should make us weep at the society that we live in and the ways that we perceive each other. It should make us angry and ashamed. So today, I handed the book to another teacher and then promptly ordered another copy. I know that for some of my students it is too mature, but for others it will be the book that they pass on from kid to kid. It will be the book that makes them question the society that we live in, and for that I am so grateful. We need books like this. We need to cry in our airplane seats more often at the injustice that we participate in. 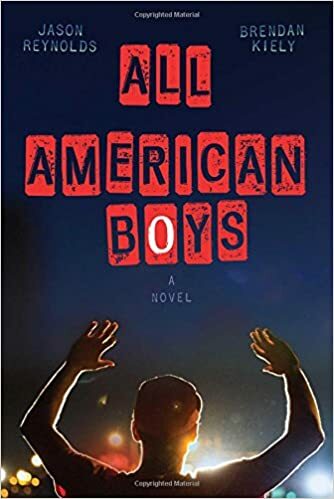 Jason Reynolds and Brendan Kiely’s masterpiece All American Boys is a Global Read Aloud contender for 2016 because the world needs to be in on this conversation. Go read it. Please. Pernille, I will definitely read this book…I am intrigued. I’m almost done with reading this book, and I am already trying to figure out how I can get all of my 9th graders to read it. It truly is a book that must be read by all.